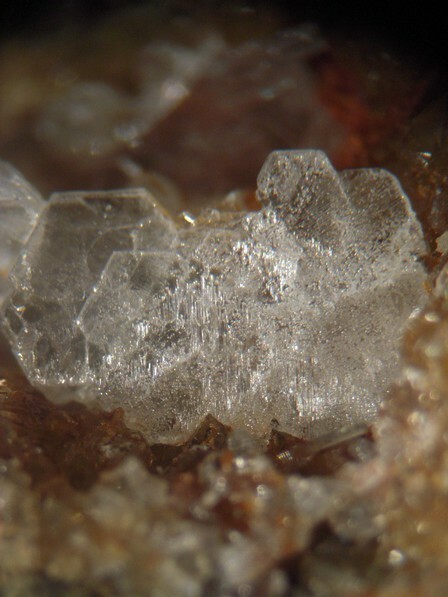 Macphersonite: Mineral information, data and localities. Named by A. Livingstone and H. Sarp in 1984 in honor of Harry Gordon Macpherson (1925 – ), Keeper of Minerals, Royal Scottish Museum, Edinburgh, Scotland. A lead sulphate carbonate polymorphous with leadhillite and susannite, but much rarer than both. Lanarkite 4 photos of Macphersonite associated with Lanarkite on mindat.org. Susannite 3 photos of Macphersonite associated with Susannite on mindat.org. 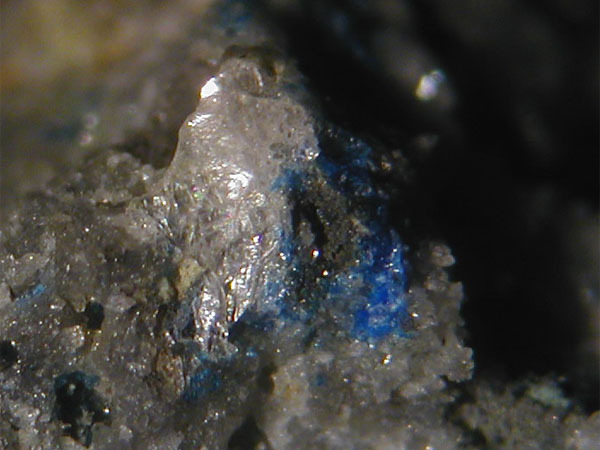 Linarite 1 photo of Macphersonite associated with Linarite on mindat.org. Leadhillite 1 photo of Macphersonite associated with Leadhillite on mindat.org. 12.2.6 Nakauriite Cu8(SO4)4(CO3)(OH)6 · 48H2O Orth. 12.2.7 Carbonatecyanotrichite Cu4Al2(CO3,SO4)(OH)12 · 2H2O Orth. 12.2.8 Rapidcreekite Ca2(SO4)(CO3) · 4H2O Orth. 12.2.9 Tatarskite Ca6Mg2(SO4)2(CO3)2(OH)4Cl4 · 7H2O Orth. 12.2.10 Schulenbergite (Cu,Zn)7(SO4)2(OH)10 · 3H2O Trig. 12.2.17 Jouravskite Ca3Mn4+(SO4)(CO3)(OH)6 · 12H2O Hex. 12.2.22 Carrboydite (Ni1-xAlx)(SO4)x/2(OH)2 · nH2O Hex. 12.2.23 Mountkeithite [(Mg1-xFe3+x)(OH)2][SO4]x/2 · nH2O Hex. May exhibit a bright yellow fluorescence under SW UV and LW UV. Livingstone, A., Sarp, H. (1984) Macphersonite, a new mineral from Leadhills, Scotland, and Saint Prix, France; a polymorph of leadhillite and susannite. Mineralogical Magazine: 48: 227-282. Dunn, P.J., Fleischer, M., Langley, R.H., Shigley, J.E., Zilczer, J.A. (1985) New mineral names. American Mineralogist: 70: 871-881. Steele, I.M., Pluth, J.J., Livingstone, A. (1998) Crystal structure of macphersonite (Pb4SO4(CO3)2(OH)2): comparison with leadhillite. Mineralogical Magazine: 62: 451-459. A. Livingstone & H. Sarp: Mineralogical Magazine 48:227-282 (1984); Sarp, H. (1984): Seconde occurrence du nouveau minéral Scotlandite PbSO3. Schweiz. Mineral. Petrogr. Mitt., 64, 317-321. Gol, D. (2014): L'ancienne mine de Laquorre, Aulus-les-bains, Ariège. Le Règne Minéral, 118, 5-27; Meisser, N., Ansermet, S., Chiappero, P.-J. & Brugger, J. 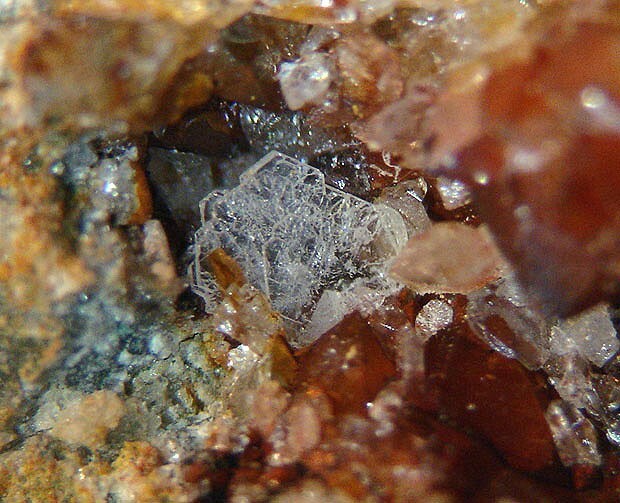 (2014): Découverte de Mattheddleite et de macphersonite à la mine de Laquorre en 1995. Le Règne Minéral, 118, 28-29. Stara, P., Rizzo, R., Tanca, G. A. (1996): Iglesiente – Arburese, Miniere e Minerali. Associazioni e Gruppi Mineralogici Italiani Ed., 238 pp. Cooper, M.P., Green, D.I., and Braithwaite, R.S.W (1988) The occurrence of mattheddleite in the Caldbeck Fells, Cumbria: a preliminary note. UK Journal of Mines and Minerals, 5, 21.; Cooper, M.P. and Stanley, C.J. (1990) Minerals of the English Lake District: Caldbeck Fells. Natural History Museum Publications, London, 160 pp. (referring to Cooper et al., 1988). ; Cooper, M.P. and Stanley, C.J. (1991) Famous mineral localities: Pyromorphite group minerals from the Caldbeck Fells, Cumbria, England. Mineralogical Record, 22(2), 105-121.; Bridges, T.F., Green, D.I., Rumsey, M.S., and Leppington, C.M. (2008) A review of the mineralisation at Red Gill Mine, Caldbeck Fells, Cumbria, England. Journal of the Russell Society, 11, 29-47. Anthony, J.W., et al (1995), Mineralogy of Arizona, 3rd.ed. : 272.